Pakistan Federal Union of Journalists (PFUJ) on Wednesday condemned the killing of another journalist Zaman Mehsaud, who was shot dead in Tank District on Wednesday. Zaman, who hailed from South Waziristan, was coming to Tank city from his hometown Gomel on his motorcycle when unidentified people opened fire at him. He was shifted to District Headquarter Hospital Tank, and then District Headquarter Hospital DI Khan, but he succumbed to the bullet injuries. He was working with Daily Umat Karachi and was also running his own twitter news, “Gomel News”. President PFUJ and Secretary General Amin Yousuf condemned the brutal killing of Zaman and demanded of the government to take prompt action to arrest the culprits. They said that Pakistan was amongst most dangerous countries in the world for journalists where as many as 117 journalists had sacrificed their lives in the last decade. The PFUJ leaders called for a country-wide protest on Thursday if the local police failed to arrest the killer of Zaman Mehsud. 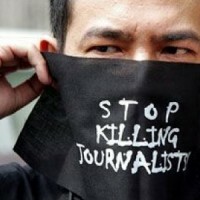 “We are already running impunity campaign for crimes against journalists and this murder has added to the difficulties of working journalists in the country,” they concluded. The PFUJ leaders urged the local police to expedite proceedings to arrest the culprits so that they could be put on trial under the anti-terrorism laws of the land.